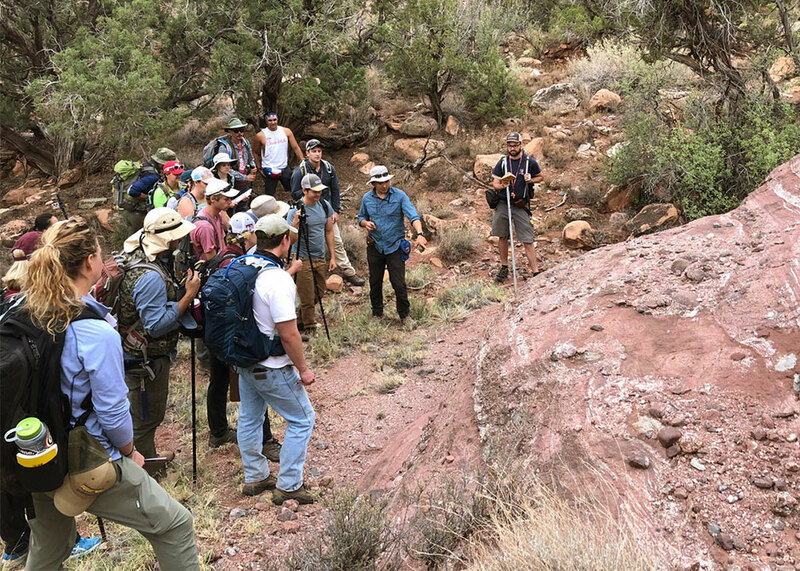 Students from the University of Houston and Texas A&M University met in Grand Junction, Colorado, to investigate the complex tectonics and stratigraphy associated with the late Paleozoic Paradox Basin. 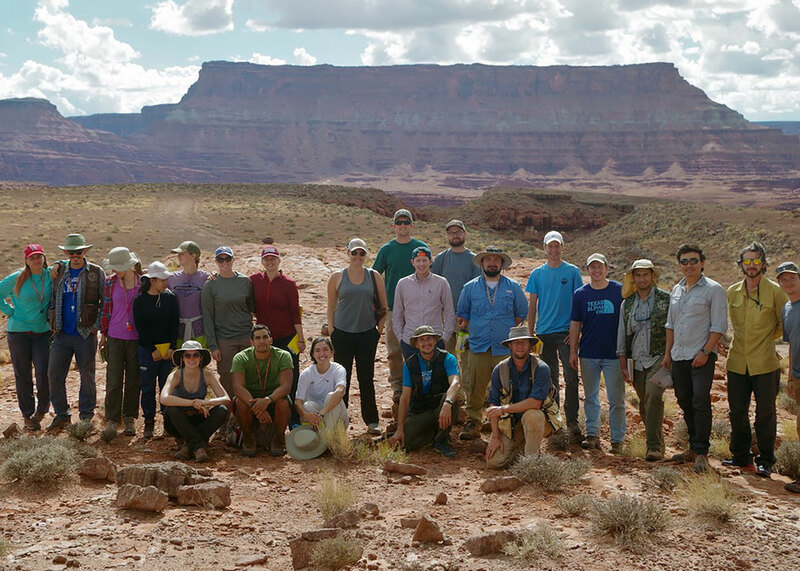 Dr. Joel Saylor (Department of Earth & Atmospheric Sciences, UH) and Dr. Nicholas Perez (Department of Geology and Geophysics, TAMU) led 21 graduate students from both departments on a week-long field trip through the region. The group compared the clastic basin-filling Permian Cutler Formation at multiple field sites near Gateway, Colorado, and Moab, Utah. Students measured outcrop sections, mapped lithofacies, collected paleocurrent data, and sampled for detrital zircon analysis in order to address the interaction between depositional environments during intraplate deformation. After each day of fieldwork, the group returned to their nearby campsites and met around the campfire to discuss scientific articles on the areas visited. Discussion topics centered on basin evolution and salt tectonism and how stratigraphic data can be used to understand these processes. UH graduate students enrolled in Saylor’s course, "Advanced Tectonics and Stratigraphy," will analyze and interpret the detrital zircon samples for the remainder of this course.